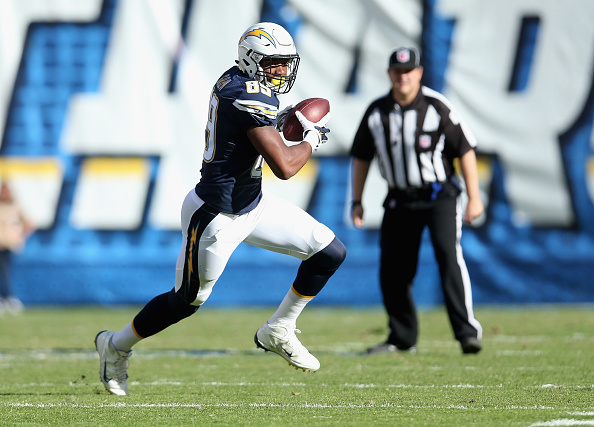 The Steelers look like they have found their replacement for Heath Miller, as reports say they have come to terms with Chargers free agent tight end Ladarius Green. Last season playing along with Antiono Gates, Green caught 37 passes for 429 yards with 4 touchdowns. the Pittsburgh Steelers, per source. Green is just 25 years old and has a ton of potential, and many think will wind up blossoming into a very good tight end in the NFL. Inking Green would be a huge pickup for the Steelers, as he would be a perfect pass catching fit for a team that is going to throw a ton next season. 2 Comments on "Steelers Expected to Ink San Diego FA Tight End Ladarius Green"
He has all the intangibles you look for , but heres the problem , Todd Haley rarely uses his tight ends as pass catchers . Ask Heath , Im sure he would tell you . I agree DaveB. Heath Miller was under-utilized in Pittsburgh. But that was true even before Haley arrived. Ben R. used Miller as a safety valve and failed to capitalize on his offensive potential in favor of the deep ball. Imagine Miller in an offense like New England’s. Would he not be the equal of Gronkowski? The difference is that Brady throws the Gronk the ball — a lot. This is relates to Tomlin’s broader failure to make full use of the talent he has had at other positions. Ask LeGarrette BLount, or Will Johnson or Brandon Boykin or Vince Williams, or Bruce Gradkowski, or even D’Angela Williams who only got to show his ability after Bell got injured.